The suave, sophisticated types of Reclaim Australia have taken to the streets to deliver their message of peace, love and understanding this weekend. Dodgy Perth would like to offer the following contribution to their brave stance for intercultural harmony. As far back as 1887 it was realised that Western Australia’s future would depend on our neighbours, and not just England. In particular, this meant doing business with Singapore. Western Australian beef and lamb was much desired there, and live exports could begin immediately. Bizarrely, however, there was resistance from some Singaporean butchers to dealing with Aussie bullocks. They claimed our cattle were racist and would attack non-Europeans. We suggest there is more to this than meats the eye (see what we did there?). Perhaps the local butchers did not want to disrupt their existing relationships with suppliers. The main ship to conduct the trade was the newly constructed Australind. The owners considered having a built-in freezer for frozen meat, but abandoned the idea because it was too high a cost to run refrigerated receiving depots at both Singapore and Java. 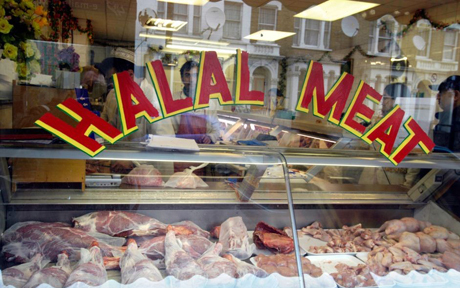 In any case, since most of the consumers were Muslim, the frozen meat trade was hampered by the need for it to be halal. One enterprising steamer running between Java and Queensland had already invested in having a Muslim priest and butcher on board who did the slaughtering with all the necessary rites. It took Western Australia a long, long time to catch up with Queensland’s halal certification scheme. This was a shame, since other states, including South Australia, were eyeing up the market, and a lack of action would cause a loss of jobs. Other WA exports were less successful. Singaporeans were quite snobby about their horses, and they considered West Australian horses pathetic. Too weedy and not of sufficiently good breed, it was said. Also, in the late 1880s a previous successful product, sandalwood, was becoming less and less desired. The major purchasers were the Chinese community in Singapore, who needed the wood for incense burners. However, the young Chinese preferred smoking cigars, drinking champagne and riding fast horses, to worshipping at a temple. So the market for sandalwood had collapsed. So, exporters have known for more than 128 years that the market drives the product. If Southeast Asia want halal meat, then halal meat is what we must provide for them. Also, we need better horses. And more devout Chinese people. The last one is a little tricky, but we’ll see what we can do.